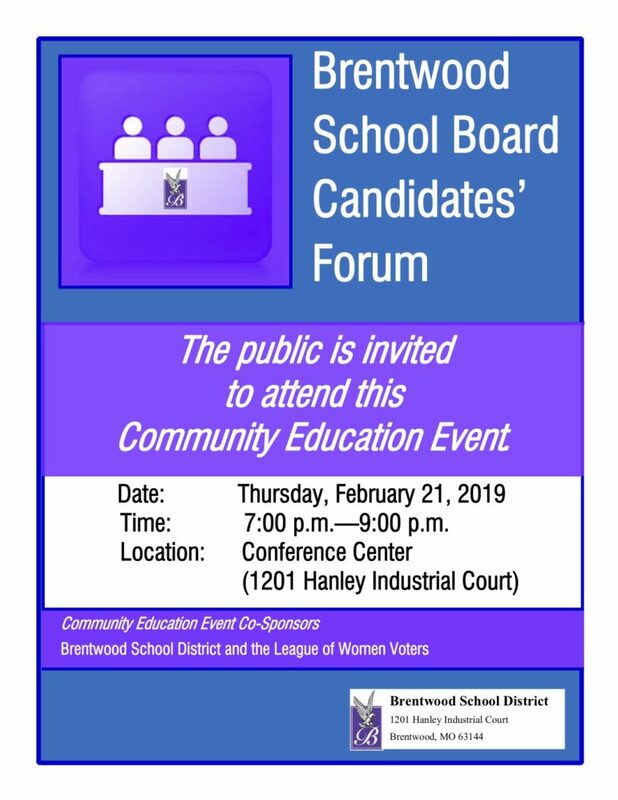 Brentwood School Board incumbents, Melissa Nehrt and Kerry Trostel, and challenger Lois Truman will take part in a League of Women Voters forum on Thursday, February 21, at 7 p.m. in the school district’s conference center at 1201 Hanley Industrial Court. The three candidates filed for two open positions for three-year terms on the Brentwood School District Board of Education. The top two vote-getters will win a position on the board. This is Truman’s third run at a seat on the board.